Custom split shank halo diamond engagement ring featuring approximately 0.85 ctw Brian Gavin Signature F/G VS hearts and arrows diamond melee. 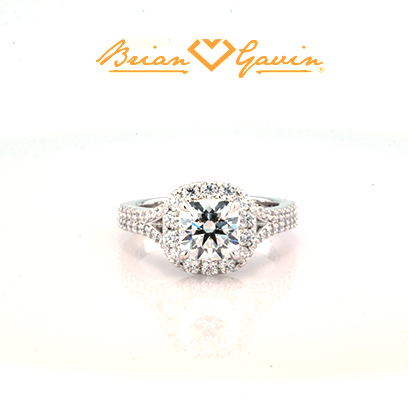 Catalog item features a 1.36 ct Brian Gavin Signature cushion cut ring size 4.5. Also available for round brilliant cut diamonds. 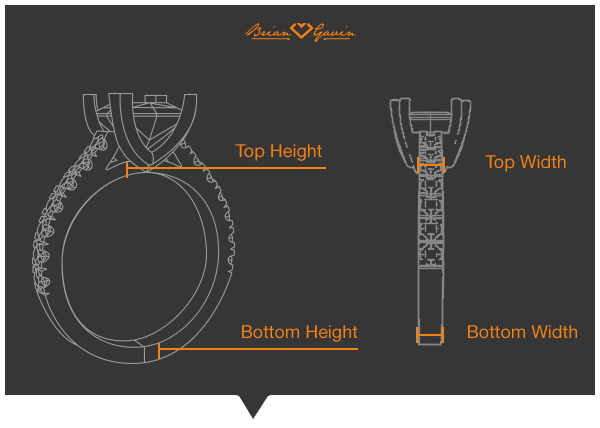 Each setting is created to accommodate the exact measurements of your center stone and your ring size and is a final sale. Price is for setting only for diamonds up to 2 carats. Add $100 for diamonds larger than 2 carats.Select your diamond from our extensive online diamond inventory.